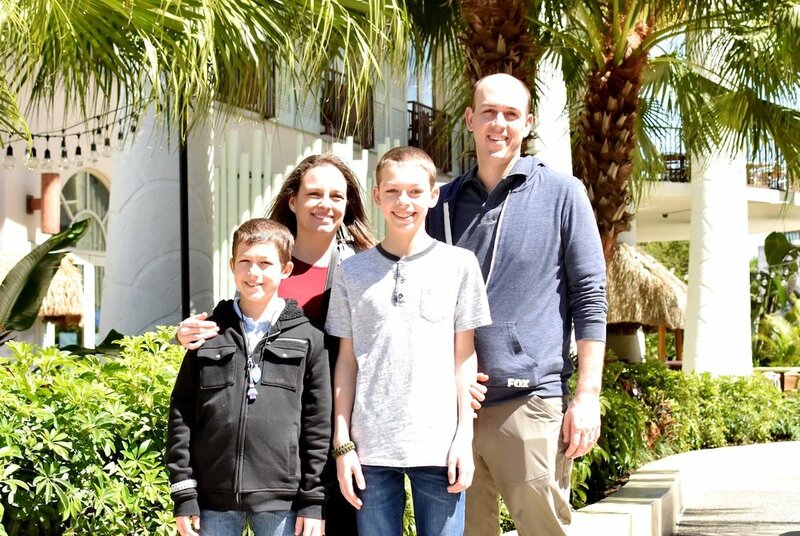 This Mother's Day we want to celebrate a food allergy mom who dedicates herself to lifting up and supporting other moms—Jamie Kaufmann of Milk Allergy Mom truly embodies the spirit of Spokin. You can't help but be drawn to Jamie because of her positivity and engaging topics. 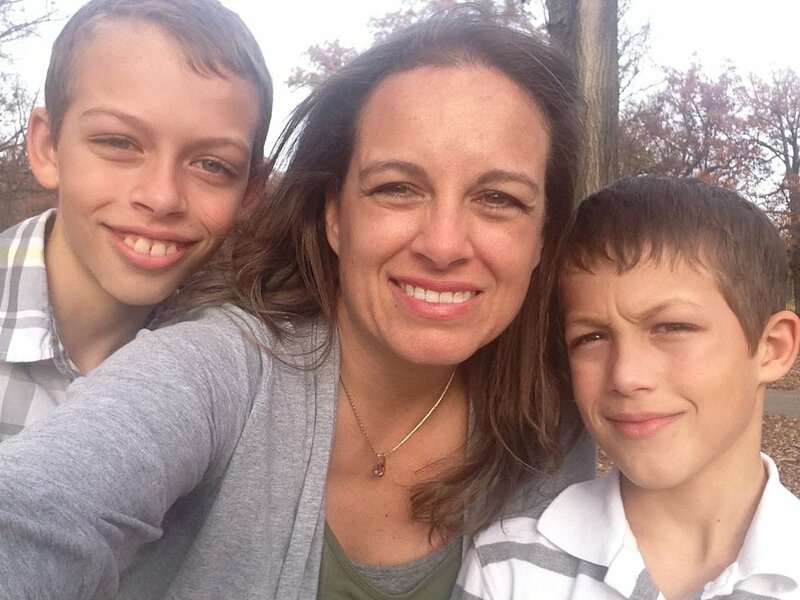 She is a real mom, with real life food allergy challenges and she shares them in an open an honest way that makes you love her! There are so many unique things about Jamie, but one of our favorites is her new self-care initiative. After taking care of her children and her many group followers she is going to be talking more about self-care for food allergy moms in her group. Just in time for Mother's Day! How did you birth the idea of Milk Allergy Mom? When our son, Miles, was a toddler we were just finding our way in the food allergy world. We were experimenting with things to eat and adapting recipes. As a new stay at home mom I realized blogging was a thing—my mother-in-law was the caretaker for our kids and I wanted her to have access to the recipes I was experimenting with. We were also trying so many different things that I wanted a place to document what was working for us so that I didn’t forget. How has Milk Allergy Mom grown over the years? About 5 years in to blogging I received a call from ABC Nightline News asking if they could follow us for a piece on milk allergies. It was at that point that I decided to become more intentional with Milk Allergy Mom and started a Facebook page and tracking what people were reading. Our Facebook page grew to an audience of over 10,000 and it soon became apparent that there was a smaller subset of our audience looking for more community support and engagement so we started a subscription based private group a few months ago. This private group setting is a chance for us to get some real life advice from our family allergist, Dr. Siri, as well as my father in law who is an allergist. My father in law has a way of explaining food allergies in terms that, I as a mom, can easily digest. We also talk a little more in depth about OIT and food allergy journeys. Our group is all about the community support, it is a place to listen and be heard. Take us back to the beginning, what allergies are you managing? Miles with his Spokin tote bag! We have two boys, Miles is now 12 and Graham is 10. When they were little they both were highly allergic to peanuts—Miles also had a milk allergy and Graham an allergy to oats and eggs. Since then Graham has outgrown all of this allergies and Miles is still allergic to milk and developed an allergy to cashews, so we avoid all tree nuts except for almond, in addition to dairy. Is your household allergen free? We started out not allergen free and then Miles had his first anaphylactic reaction due to a mix up of products in the house so we decided to be a dairy free household. We have added milk back in but in separate spaces in the kitchen. There is no right or wrong answer to whether your house should be allergen free or not, you just have to find what works for you right now. Hard fast rules are tough in the food allergy world so you have to work with whatever is happening in the moment. Your community is so positive with a highly engaged audience, what is your secret? We want to keep everything really positive, it is a space for allergy moms to pop in and get some answers, talk to some allergy friends—I want it to be a stress free environment. We’re very open minded and dissuade people from banter that isn’t productive. We have a zero tolerance for abusive behavior—allergies are a common denominator, we don’t need other influences to decide whether we can get along. We want moms to feel like they are supported and respected, all the kinds of things we teach our children. What plans do you have for the future of Milk Allergy Mom? I would really like to start focusing the private group on self-care for food allergy moms. I was forced to make a lot of big changes with self-care for my own personal well-being and I think there are a lot of moms in the same boat. There is a huge gap in food allergy lifestyle of us moms taking care of ourselves and I would really like to fix that. What do you like about Spokin? As an allergy mom I find it is my happy place, I can pop in and see what people are recommending and make some quick recommendations myself. Spokin is a quick and easy way to find information. I feel like it is so well done and eye appealing too! My son is now 12 and I can see how Spokin will empower him as he navigates food allergies on his own. The future is definitely kids on the app. Is Miles on the Spokin app? Not yet. He doesn't have a phone, but he uses the app on my phone. We would like to make a case for Miles getting a phone, safety first you know. Ha. Yes, well one day. I will let him know you are negotiating on his behalf. 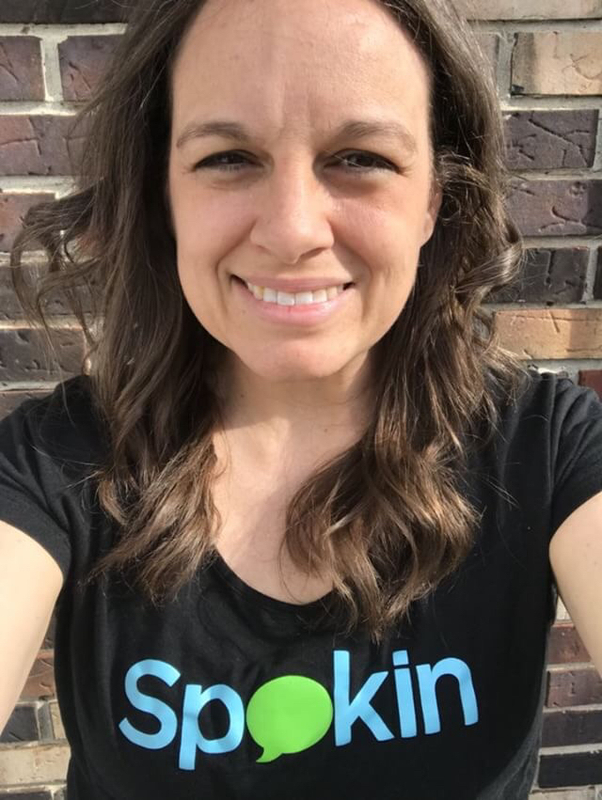 What is your favorite part about the Spokin app? I love to look at the restaurant section and do some research. We don’t eat out very often so I am trying to build up my confidence in that area and am using the Spokin app to do it. Follow MilkAllergyMom and see her 100+ recommendations on the app! What is the best advice you have for people who are newly diagnosed? Find a good allergist. Allergists vary so much in the kind of relationship they develop with their patients. Find one that suits your goals—allergists can get you set up on a hopeful path or a stagnant path so you need to assess what it is you want to accomplish and find someone who will help you do that. Find a good support network that works for you. Sometimes we can do too much online so build some friendships and relationships locally and go online in moderation. We can all spend so much time IN the food allergy world and we are so much more than that and sometimes it helps to focus on those other things. No Whey Chocolate - they sell them at Meijers!